Supply chain management is a key aspect of successful business. But what happens when a new or existing strategy fails? This is something that many retail companies have had to deal with recently. Pressured to adjust operations in accordance with the rise of omnichannel purchasing and avoid being left behind in an increasingly competitive market, a handful of brands have been too quick (or, in some cases, too slow) in implementing the right systems and technology to reduce costs, streamline production and increase overall efficiency. It is important for organizations to adapt to the rapid growth of the Internet of Things and keep pace with industry changes and emerging trends. However, in an effort to maximize profit, it is also critical that corporate executives have a clear picture of exactly how a new platform or process may impact operations. Failing to do this has led to major supply chain disasters. Earlier this year, sporting apparel and footwear company Finish Line released its third-quarter earnings, revealing a 3.5 percent drop in sales. Executives attributed this loss of revenue to a supply chain disruption that occurred after installing a new warehouse and order management system in its distribution center. The retailer had struggled with the fulfillment of e-commerce orders in particular, as well as inventory levels, all of which contributed to it losing approximately $32 million in sales that quarter. Investing in supply chain management software, whether it is a warehouse, inventory or distribution order management system, can be risky. Each function influences the success of the others. One disruption can lead to dramatic consequences that stall production and hurt revenue. In Supply Chain Digest, Dan Gilmore has written a few articles on the Finish Line disaster, highlighting the fact that, although the software provider is at fault for joint processing issues and delayed response times, the retailer itself should be held accountable because it was not adequately prepared for the array of challenges and complexities that come with implementing a new supply chain management system. His argument was supported by a commenter claiming to be an independent consultant for Finish Line, who added that he foresaw the disruption years ago because there was a lack of access given to the people able to ensure the operations would be carried out effectively. Another supply chain disaster that received a lot of attention was when Target Corp. announced it was closing 133 of its Canadian stores and removing itself from the market entirely. At the time, Reuters reported that, "Goods were coming into the warehouses faster than they were going out, in part because the barcodes on many items did not match what was in the computer system." 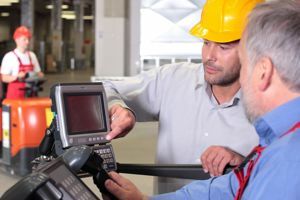 Much of the issue was caused by inefficiencies in the supply chain software data, pointing yet again to the powerful effects using the wrong system or failing to prevent or resolve glitches as they occur can have on business performance and operations. In Dan Gilmore's coverage of the Finish Line disruption, he said that a number of industry experts had reached out to him to offer insight on similar experiences they have seen with supply chain disasters occurring from improper planning. Some pointed out that operational and technical assessments must be done from the very beginning and continue throughout every step, not just at the end when it is time for a final test. Another highlighted the importance of contingency planning. Having thorough risk mitigation and response planning is important to minimize the negative impacts that can occur when a disaster strikes. Without these protocols fully developed and understood throughout the organization, the chances of financial and production losses severely increase. This is especially essential for corporate leaders to take into account when considering new supply chain software or warehouse management systems. Utilizing warehouse, inventory and distributed order management systems will become increasingly popular and important for businesses in this multichannel market. But, as a handful of major brands have already demonstrated, failing to adequately plan for potential risks is a mistake. Supply chain management software can significantly enhance the quality and efficiency of operations. However, without leveraging a third-party logistics and sourcing provider that can ensure the right systems are purchased and successfully executed, not only can the new models be ineffective, they can actually be harmful.